Quantity: 123 Only 3 left in stock! Colors include: Black, Ivory. The primary colour is Black. 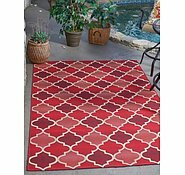 5' x 8' Transitional Indoor/Outdoor Rug is rated 4.9 out of 5 by 92. 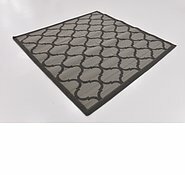 Rated 5 out of 5 by AussieBen from Excellent Excellent quality rugs and quick reliable delivery. I would highly recommend purchasing from this merchant. 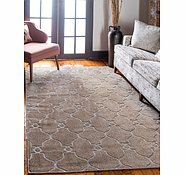 I am looking for more places I can place a new rug just so that I can get more! 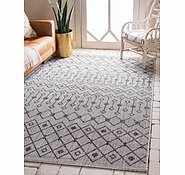 Rated 5 out of 5 by mitzie from Fantastic quality and appearance This rug is exactly what Inwas looking for in my kitchen. 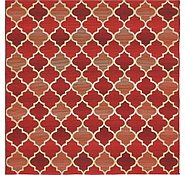 Our new house had a large plain expanse of terracotta coloured tiles which showed every Mark and looked very bland. 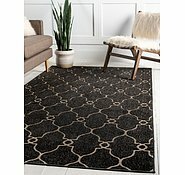 Now it is a WOW factor when anyone walks in and a perfect kitchen rug as it is thin but solid and durable. I am thrilled and service and delivery perfect as always. Rated 5 out of 5 by Mae Joy from Exceeded my expectations! I bought this during the holiday rush. 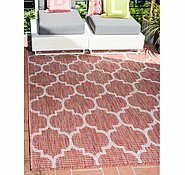 What I read in the product description was what I got - the color, texture, and size. This went perfect in my dining room. I am really satisfied and will definitely purchase more in the future. SKU #: 33132477 The colour in some photographs looks like a light creamy/yellow beige, which is what I prefer. Or is it light brown beige? 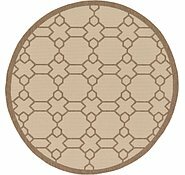 The colors found in this rug are Beige and Cream. 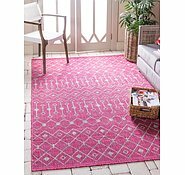 Yes, the rug can also be used indoors. 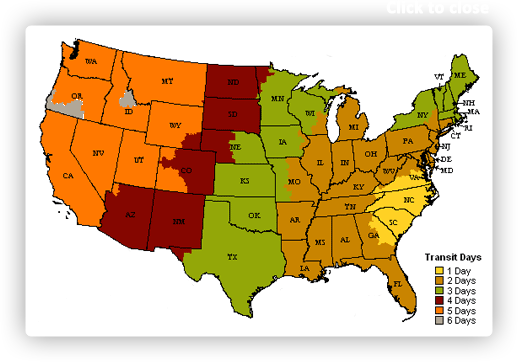 All orders typically ship out within 24-48 hours and from there its 5-6 business days to all territories of Australia. Overall about a week. 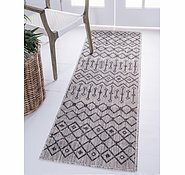 Can this rug be used inside we have dogs would we we able to clean it ? 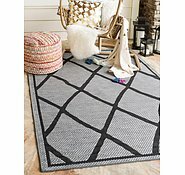 Yes, this rug can be used indoors or outdoors. 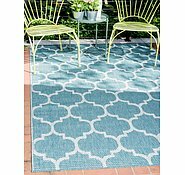 They are really easy to clean and we recommend spot cleaning them with warm water, detergent, and a cloth. 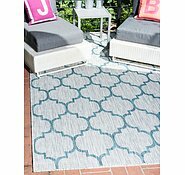 Are you expecting this rug will come back into stock? We will be restocking more of this item in about 6-8 weeks. We sincerely apologize for the inconvenience. 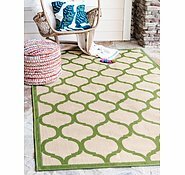 This Transitional Collection rug is made of polypropylene, no it is not made of plastic. It can be hosed down to clean. I would like to inform you that the prices listed on our website are in Australian dollars. 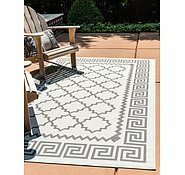 Our Outdoor Rugs are weather resistant and can withstand direct sunlight. 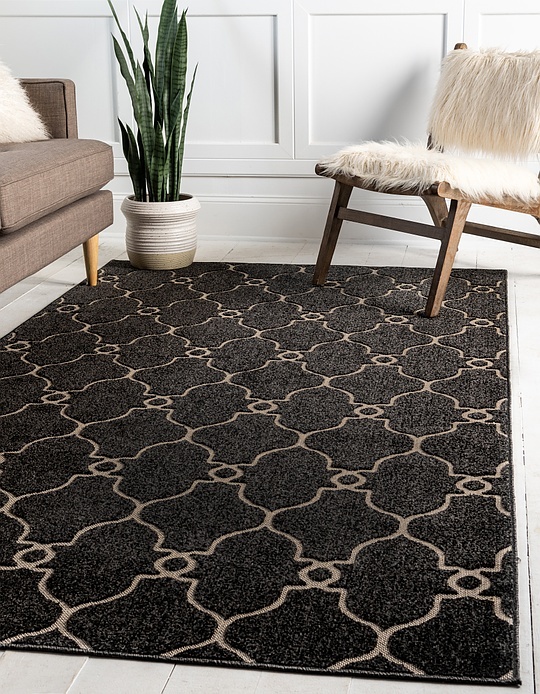 We recommend all rugs to be paired with a rug pad. 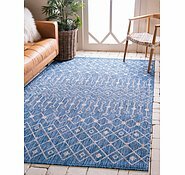 Rug pads extend the life of the rug as well as hold the rug in place.